Want Guitar Lessons on the Sunshine Coast? 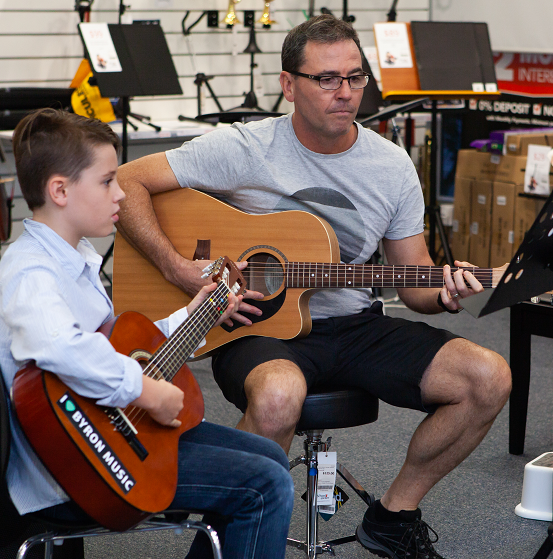 You will find easy ways to learn music when you join one of our Sunshine Coast Kids Gig Bands. From your very first lessons you are surrounded with enthusiastic people who share your vision of playing in a band. Learn Guitar, Drums, Keyboard or Vocals. 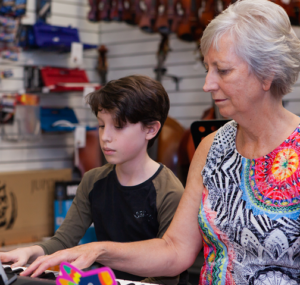 Qualified and experienced teachers, Tim Dashiell and Heather Nel, get right to the heart of learning and instrument. Sunshine Coast Kids Gig Bands are the only Gig Band class on the Coast where you can start learning guitar right from scratch, with no previous music knowledge or lessons. 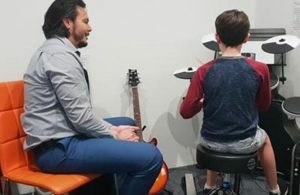 You can learn guitar, drums, keyboard and vocals in class, through our unique learning program. Call me, Heather, right now to enrol and make a start on your first Kids Gig Bands lesson this week. 0418 563 226. This is a family centred music program. 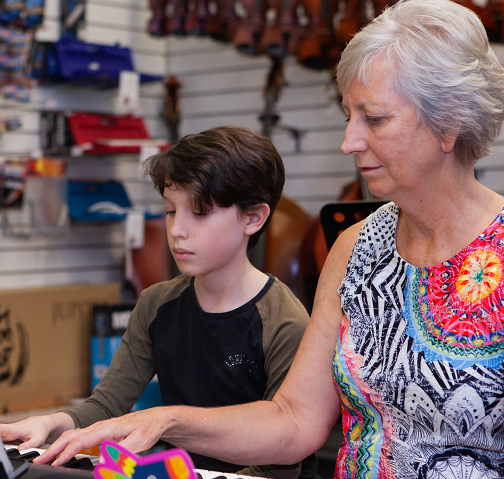 This means that we highly value the support families give students throughout their musical journey. We encourage the involvement of the whole family at Band class. Connor and Dad, Chris often play together in class. You are immersed in popular, modern band rhythms in your first lessons. We take you through the exciting process of reading simplified music charts for drums, keyboard and guitar. Learn to sing Band vocals in class.